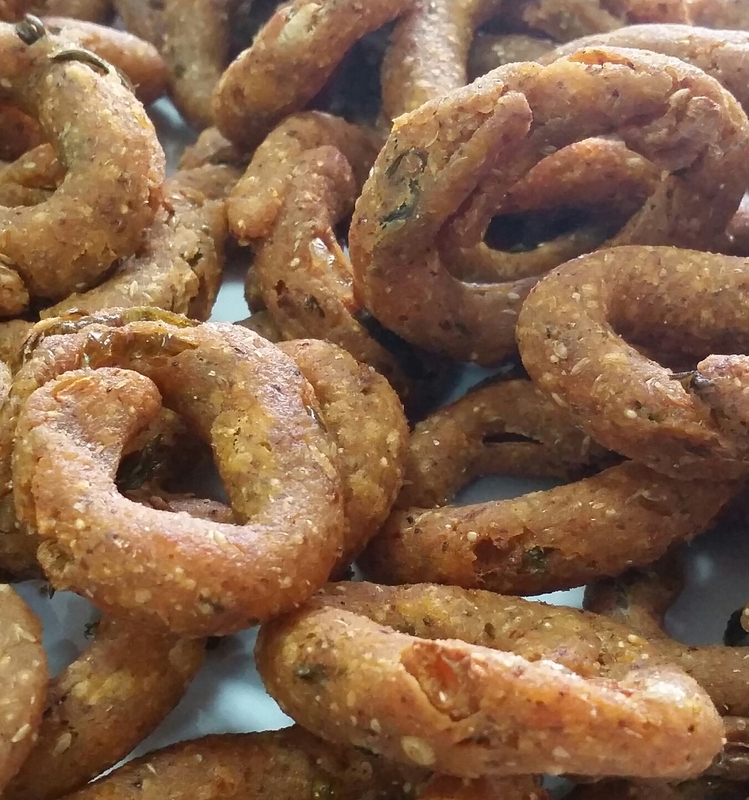 Kodubale is one of the popular snack from Karnataka.There are many varieties of Kodubale. I am sharing Multigrain mosaru kodubale/ Multigrain curd mini doughnuts.It has a very different texture when compared to the normal ones. It has a nice crispy crust .It is so tempting that you can’t just stop at one. Heat 1 Tbsp of oil, add Asafoetida/ hing,curd, water, salt, chopped onion, corriander green chilli and curry leaves. Mix it and start heating it on a medium heat. Once this mixture comes to a boil, add all flour and close it with a lid and don’t stir.Let it cook for 5 minutes. Then turn off the heat. Now mix the mixture until it binds well. Transfer the dough into a bowl. When it is warm knead it to get a smooth dough. Now keep the oil for heating on medium flame. 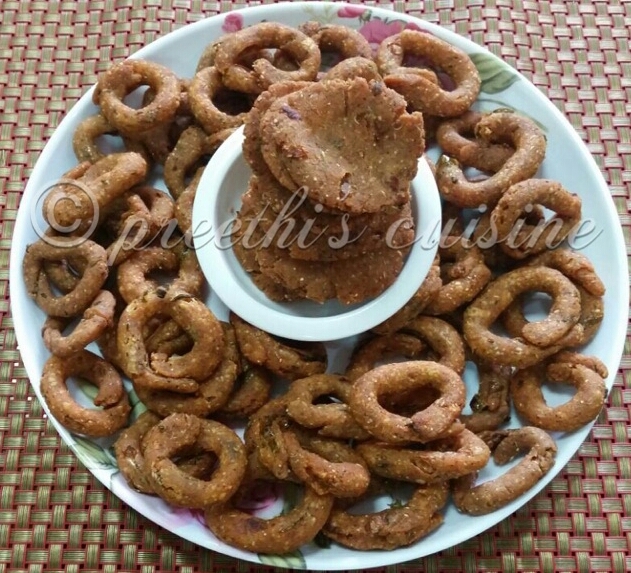 While it is getting heated, make Kodubale (savoury mini doughnuts). Take small amount of the dough and roll it in between your greased palms (about 5-6cm long).Then join the ends to form a circle. Repeat this with the rest of the dough (keep the dough covered to avoid drying). Now deep fry these rings in hot oil until it turns golden brown on both sides. Once done, transfer it on to a tissue(kitchen towel)to drain the excess oil. 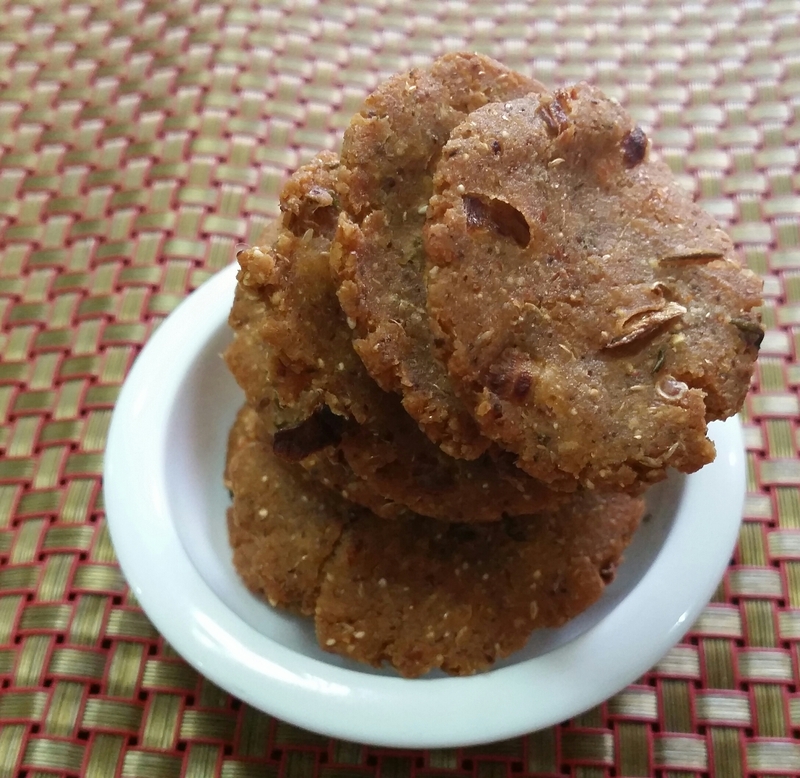 Enjoy Multigrain Mosaru Kodubale with a hot cup of Coffee or Tea!! PS: With the same flour I made Tattai /Edible Plates.